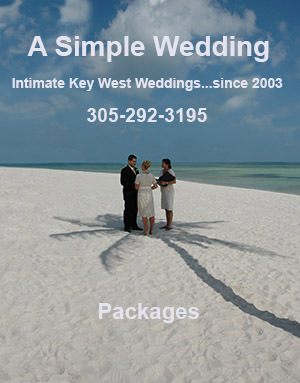 Key West weddings should be simple, special and stress free. We are a husband and wife team, offering intimate and affordable wedding packages. Our focus is personal service and great photography. Packages include ceremony by Colleen, flowers and professional photography by Gary. It’s easy to get married in Key West. 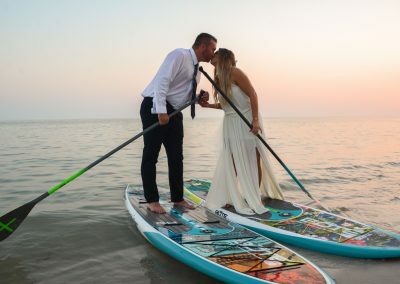 Have you always dreamed of a beach wedding? Stand barefoot in the sand, beside the ocean and surrounded by palm trees. Stroll the surf as you watch the sunset. 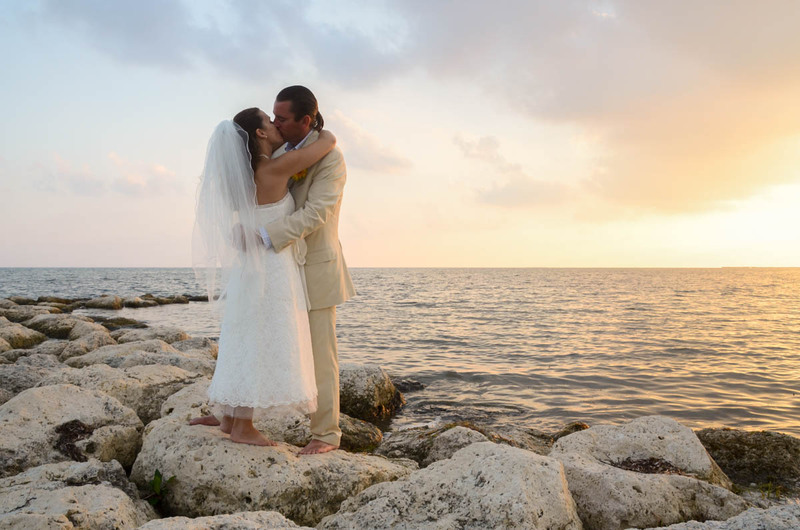 Key West sunset weddings are very romantic. 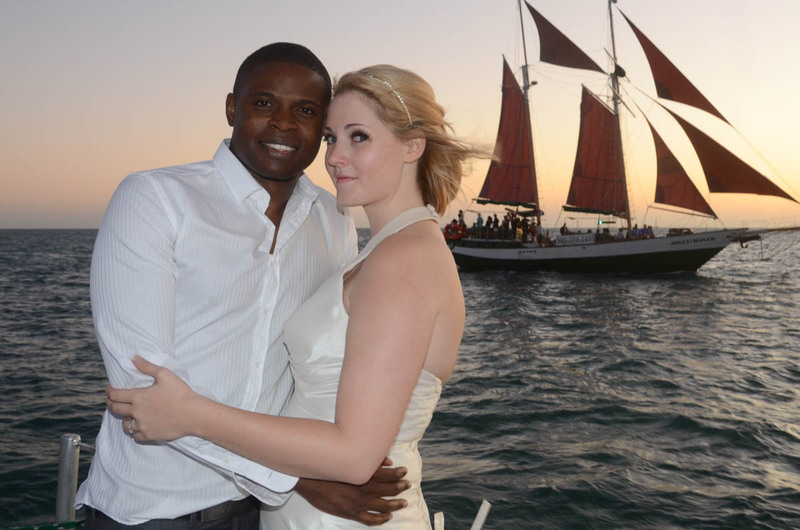 Or, have a boat wedding at sea and sail away on a luxury yacht. Or, maybe a Key West garden wedding at an historic home. Our all inclusive packages are affordable and simple. The Sand and Surf beach wedding package is our most popular. Wedding packages include ceremony, flowers and professional wedding photography. We can also add a wedding cake and additional flowers. Be sure to view the galleries for lots of great wedding photos. Elope to Key West…Would you like to elope to Key West? We can plan a simple wedding in very little time. 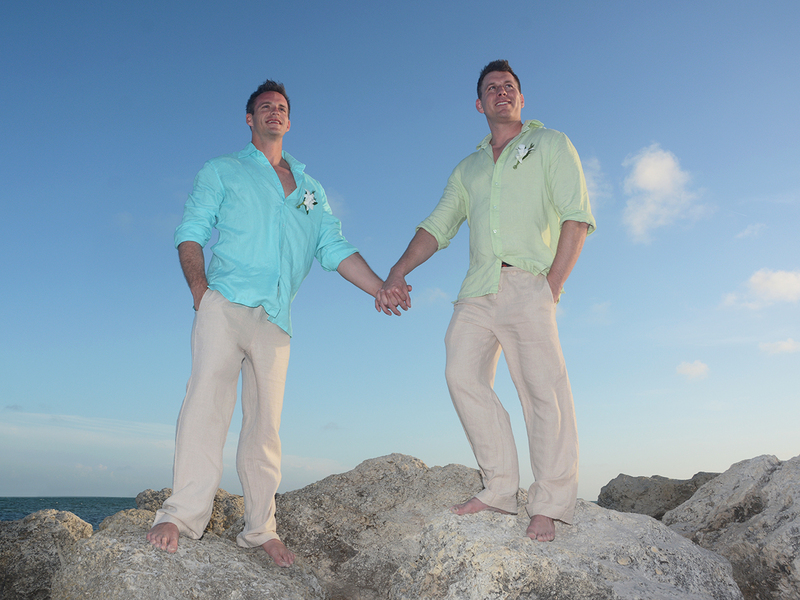 Our Key West beach elopement package includes ceremony and professional photography. Flowers may also be added. 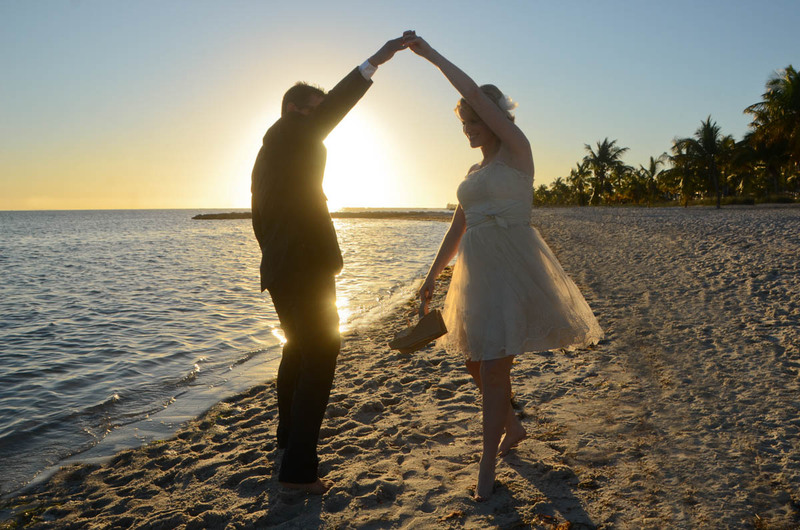 Key West Vow Renewal…Celebrate your years together with a romantic vow renewal ceremony on the beach. 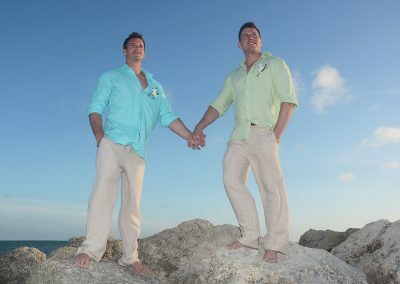 Vow renewal packages include ceremony and professional photography are included. Getting married in Key West is easy. Obtaining a Florida marriage license takes less than 30 minutes and is valid immediately (unless you are a Florida resident). 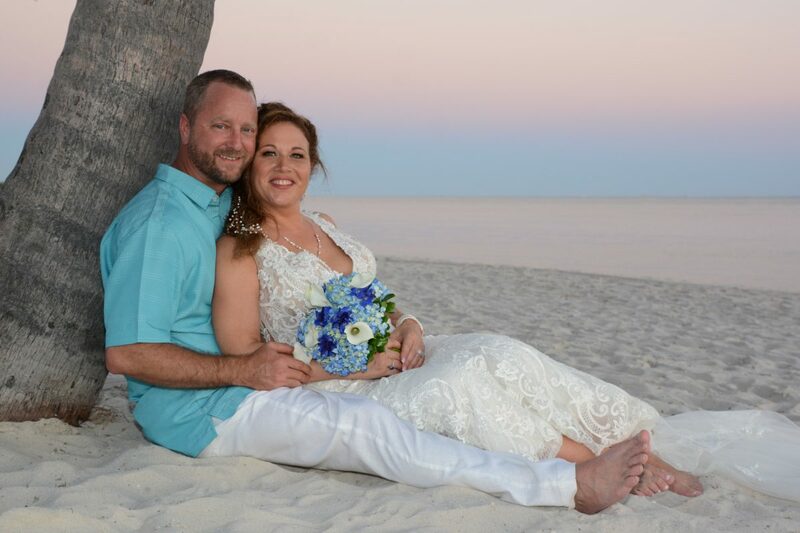 Even if you’ve never been, it’s possible to plan a casual, stress free wedding.We have lived in Key West for many years and will be your local connection. 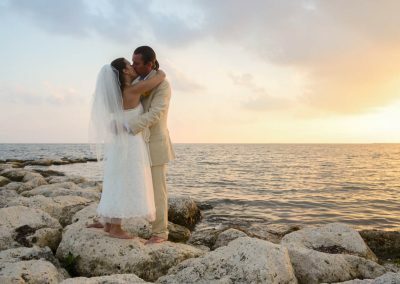 More and more couples are choosing to have a destination wedding. Often they want to avoid the stress and expense of planning an extravagant affair back home. 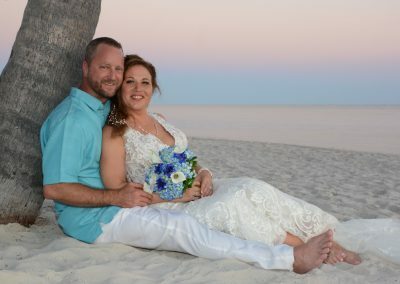 Many couples elope to Key West and then have a reception after returning home. Just think…you can wear your wedding attire twice and show everyone your wedding photos. Destination weddings are also great honeymoons. There are so many fun things to do in Key West…snorkeling, diving at the coral reef, sunset sails, kayaking and much more. Add in warm weather, great restaurants, galleries, museums, a charming historic district, plenty of nightlife and romantic accommodations. It’s all here on our little island! After nearly 10 years of unwedded bliss, we decided to get married. We wanted a special yet simple wedding. After an intimate beach wedding, we had cake and champagne with friends at a local bar, then headed to a nice dinner…just the two of us. For us, it was a perfect wedding! 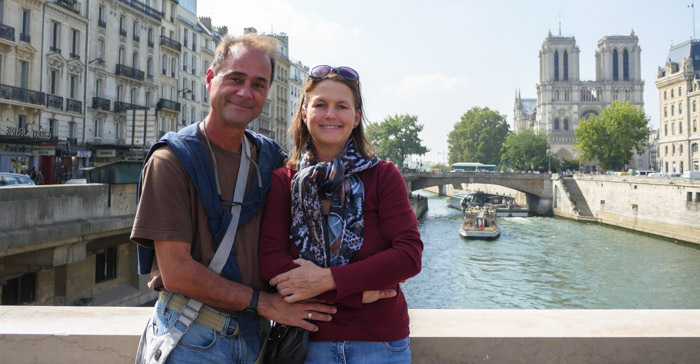 And when we’re not performing weddings in Key West….our other passion is traveling!